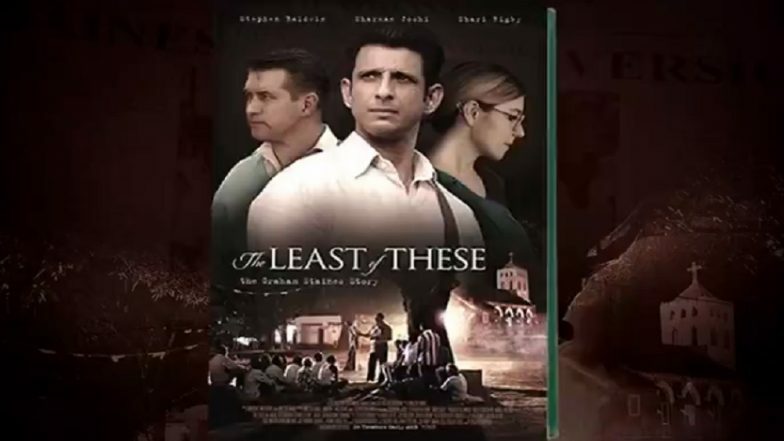 Mumbai, March 18: Actor Sharman Joshi, who is gearing up for release of his first Hollywood film The Least of These: The Graham Staines Story, says the movie sends out the message of love, peace, tolerance and harmony. On what made him to be part of the film, Sharman said: "We have made this with really good intentions. The end message is about love, peace, tolerance and harmony. This incident (on which the film is based) happened in Odisha. It could have happened in the US, Europe, Middle-East or in any part of the world." The film, based on real life story of Australian Christian missionary Graham Staines who worked among the tribal poor and leprosy victims in Odisha, comes 20 years. He was burnt to death along with his sons by alleged members of the Bajrang Dal, a Hindu fundamentalist organisation. Talking about Al Noor Mosque and the Linwood Avenue Masjid shootings in Christchurch, New Zealand, on Friday in which 50 people were killed, Sharman said: "It's very unfortunate. I feel such extreme acts are detrimental for our as well as future generations." Why is Sharman Joshi Sticking These 'Missing' Posters Around The City? Everyone has their own definition of truth & ways of searching for it. "I feel all of us hold a responsibility for it and help stop it in our little way by spreading message of love, peace, harmony and tolerance. I feel only through awareness we will be able to fight these horrific acts. That's what I have endeavoured through this film." Stating that though it was a Graham Staines' story, Sharman said "the bigger message is what happened was extremely unfortunate. It should not happen again. Love and peace is the only way of living." Sahrman Joshi Discusses Conversion, Extremism and Sensationalism In This Exclusive VIDEO Chat!